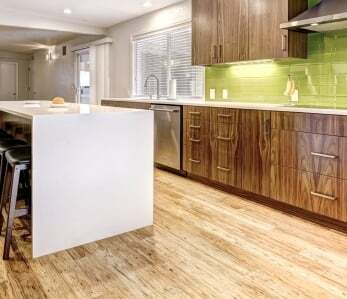 Home › Flooring › How Much Extra Bamboo Flooring Do I Order For Cutting & Waste? How Much Extra Bamboo Flooring Do I Order For Cutting & Waste? 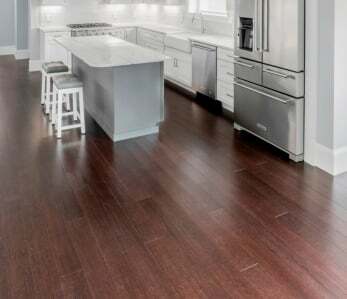 When you’re putting down flooring you want to be sure that you buy enough but you also don’t want to end up with an exceptional amount of waste, especially if you’re choosing for its green benefits. When you start looking at estimates for the amount of flooring you need, most sources tell you that you’re going to need extra flooring for cutting and waste. Is it really necessary? How much extra flooring do you need for cutting and waste? Installers usually recommend that you purchase 10% extra over the amount actually needed for your installation. This is the industry average and almost always bears out as a reasonable choice. On the other hand, if you have a square room or an open flow layout that won’t require a lot of cutting, you may be able to get away with ordering just 8% for cutting and waste. If you’re installing at a diagonal it’s best to order 15% extra. Why do you need so much extra flooring? Extra flooring has several different purposes–and all of them are important. You’ll need to make cuts to the boards. Each board is designed to fit with the others in a specific set of grooves. Those grooves go together like puzzle pieces–and without them, the flooring won’t fit as well. 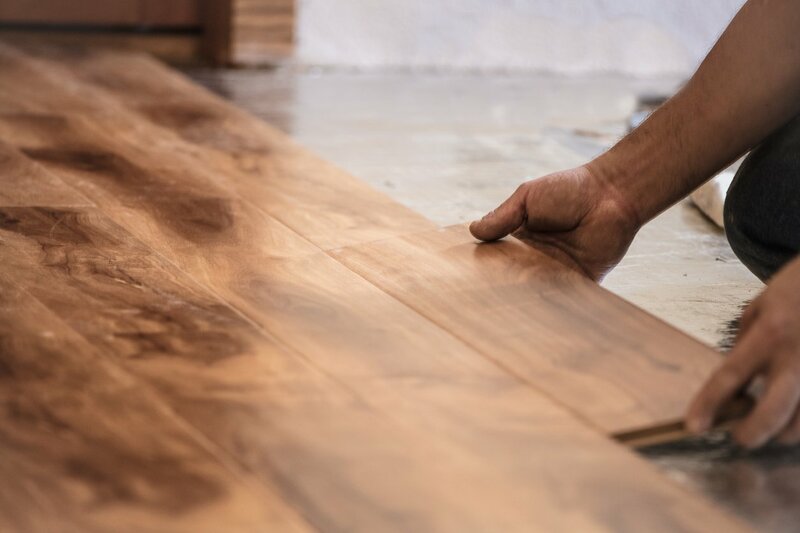 Whether you’re making cuts to the ends of pieces when you reach walls or you need to make cuts to fit around things in the middle of your floor installation–a mid-room fireplace or counter that’s part of the structure of the room, for example–you won’t have those grooves on the piece that’s been cut off. While it’s fine to have an edge piece at the end of the room, you don’t want one in the middle of the floor, where it won’t be as secure. As a result, those cut pieces turn into waste–and the pieces that you’ve cut off won’t count as part of the square footage for the room. You’ll make mistakes. Even experienced professionals occasionally find that they’ve made an error. There’s a reason why “measure twice, cut once” is a popular saying–and even measuring twice isn’t always enough to ensure that the boards are exactly the right length. While you’re sure to do your best, there will be times when mistakes happen, and you might not always be able to make use of the wood that was cut incorrectly. This wood becomes waste since it can’t be used as part of your project. What if I just buy more flooring if I need it? There’s nothing more frustrating than getting halfway to a wall, only to discover that you’re out of flooring. In a best-case scenario, you’ll have to go back to the store. If you’ve special-ordered your flooring online, not only will you have to order more, you’ll have to wait for it to come in. Both of those scenarios, of course, assume that the store will still have more of the flooring that you ordered in the same dye lot that you initially ordered from. If you’ve waited too long to start your project, there might not be extra boxes for you to buy. Dye lot is incredibly important to your project. Wood flooring, like many other natural products, comes in unique dye lots. 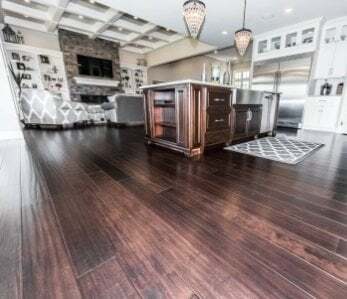 If you’re unable to complete your project with the existing materials, you may quickly find that you’re not able to find flooring that’s a close match for the flooring you’ve already purchased, which can leave your room looking poorly planned or mismatched. Purchasing extra flooring up front and ensuring that it all comes from the same dye lot is the best way to ensure that you’ll have everything you need to keep your room looking great. What do I do if I have extra flooring left over? You followed the industry recommendation and purchased 10% more flooring than you actually needed to complete your project. Fortunately, your project went very well. The boards were almost exactly the right size for your finished room, and you didn’t have any trouble making cuts–in fact, you barely had any waste wood at all! While that’s great for your environmental footprint, it does mean that you have extra flooring that you have to do something with. Ideally, you should store that flooring according to the manufacturer’s recommendations. Keep it protected from excessive sun or moisture exposure. After all, you may need it to make a repair to your flooring down the road, and then you’ll have a perfect match from your old dye lot already on hand. This is the perfect way to take care of both small and large damages to your floor over time. 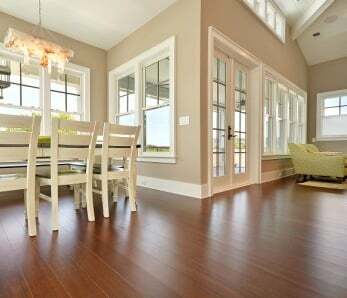 When you embark on a flooring project, assume that the additional 8-10% of the flooring is part of the necessary cost. 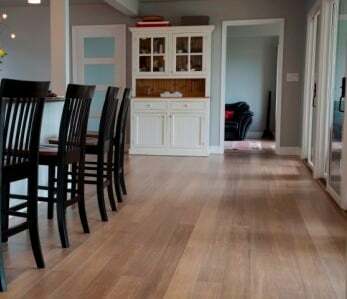 In the end, that additional flooring is an investment that will help ensure the beauty of your finished room, not only immediately after you finish the project, but for years to come.